header.php : specify a page’s header. footer.php: specify a page’s footer. In last tutorial we talked about using a commercial theme for wordpress websites. Nowadays many commercial themes are well made and have a lot of flexibility. Nevertheless still there is no one theme that can 100% do what you want. In this case you have to create your own custom theme. We don’t need to create a theme starting from nothing. There are many websites out there providing blank themes. 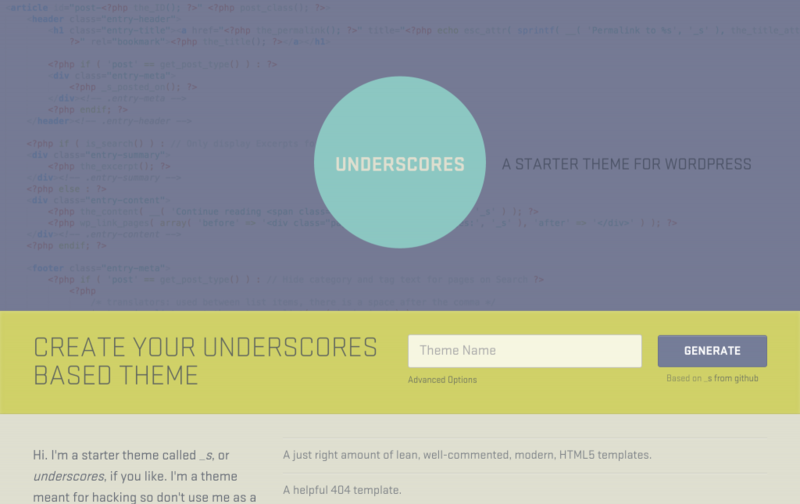 For me I use the underscore blank theme. Simply putting the name, hit “generate” and you get your blank theme in a zip file. Installing blank theme is very easy. 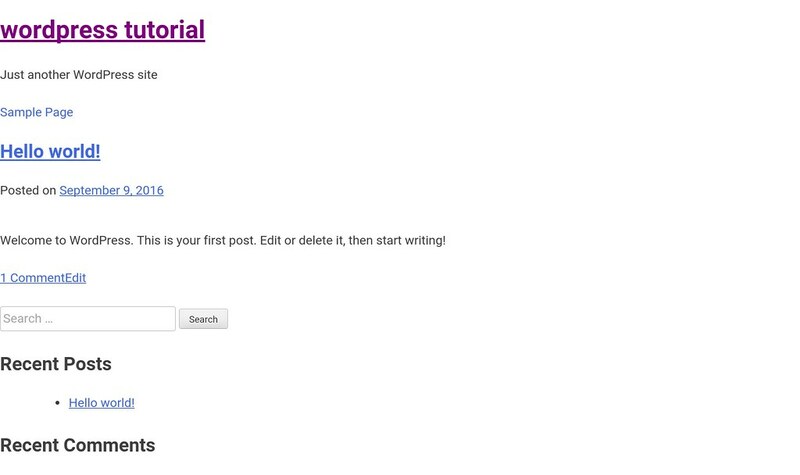 Simply use the “Upload Theme” function in Appearance -> Themes -> Add New as described in the previous tutorial. When you open the website it will look, well, very bad. This is because it is a blank theme and has minimal styling in it. First it sees if the template is specified in the edit page in admin panel. 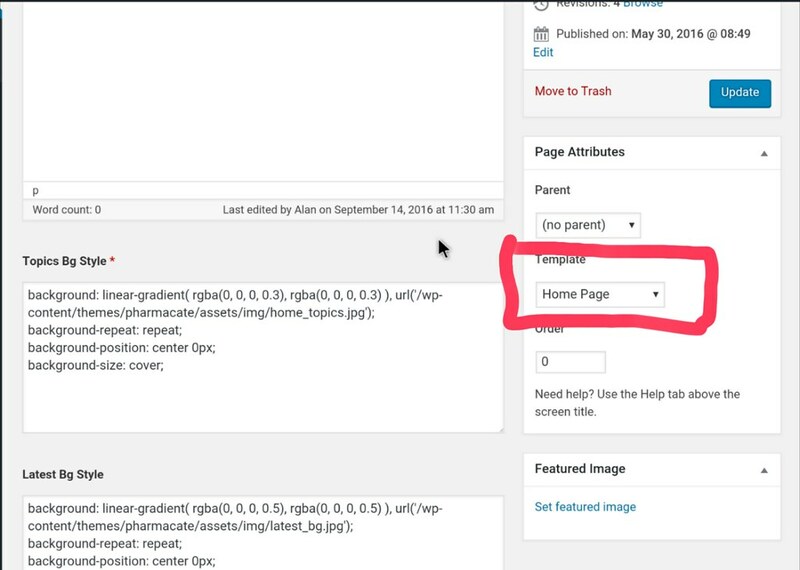 If it is not specified or the edit page does not have template option, wordpress look through a hierarchy of “default templates” by their names. It starts from templates of narrower scope. If not found it moves to the more general templates. Different template hierarchies apply to different wordpress pages (post page, custom page, 404, etc). 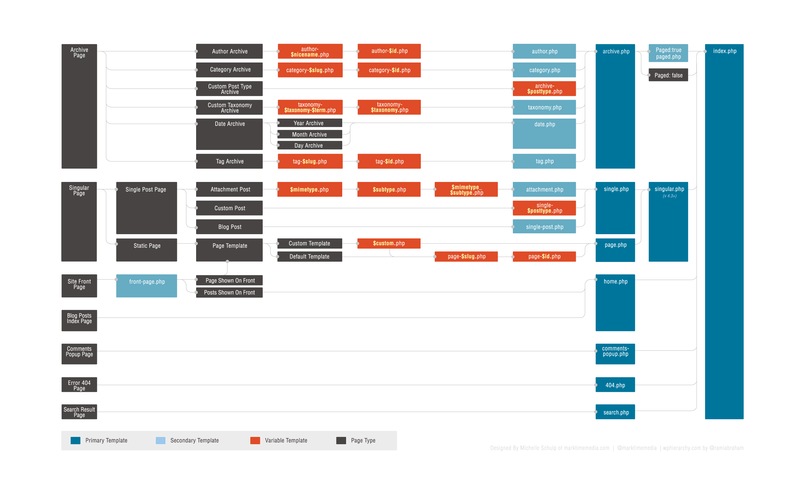 You can find a graphical hierarchy presentation here in wordpress official site. Templates can also be used only for part of a page. For example “header.php” and “footer.php” are default templates for page’s header and footer section. Many of these templates are stored in the template-parts folder. functions.php is where wordpress stores functions that are used in the theme. You can add/modify custom php functions to change wordpress’ theme behavior. This file is where you specify how wordpress website will look via cascade style sheet. As a reminder, you still have to go to wordpress’ admin panel to create pages, categories, etc to utilize the theme. Here we provide a brief explanation of the commonly theme’s files. Templates are general to web application frameworks. They are the “views” in MVC. style.css together with the assets folder are normally together in the same folder in web frameworks. functions.php represents “helper functions” in general web frameworks.